I switched from Saki Hikari Sinking Growth food to these 3 types of koi food recently. FD Supplement (floating pellets) is a health food which stimulates the production of slime coat, so crucial to the good health of a koi. FD Build-Up Extra (sinking pellets) is specially made for bulking up koi bodies. Hikari Hi-Growth (floating pellets) is also a high protein growth food for good growth rates and bulking up. After just 6 weeks of feeding, the effect was obvious to me. Many of the koi added bulk, and several of them which had appeared to stall on growth registered growth again. A year ago, I had one kohaku barely touching 80cm. I believe I now have 4 (maybe 5) gosanke at 80cm or more. Will be doing my biannual measurement/photo taking soon. Stay tuned… Special thanks to DS for recommending me FD Food and helping me with the first batch. 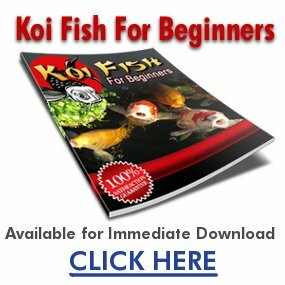 🙂 Check out my channel at www.youtube.com for more koi videos! @ABCba5tard We live in different countries so I wouldn’t know how to get them where you live. u have a vert nice tancho.. coz i like tancho very very much!!!!!!!!!!!!! RM65 for 2 kg bag. I don’t use it anymore. how much did u pay 4 the Hikari Hi Growth?? Feeding routine is a very personal thing and different hobbyists have different practices. My fish are on average quite big already, and after my last measurement exercise in late March, I have since cut to only 2 feeds per day. Smaller fish can be fed 5-6 times a day up to 3 years old. Just my view, Steven. my largest koi atm is a nisai chagoi of 61cm, so I can still feed for 5-6times? I feed SFF normal atm since my water temp is 20°C atm (In 2 months I”ll start on my second pond, this one will be heated :D) and I feed 5-7 times a day… is that a good feeding regime? or will they get fat like that? what do you prefer, a few times big ammounts per day, or more times lesser amounts? Koi are naturally bottom feeders. My koi seem to increasingly prefer floating food these days though. Feed them whatever they eat most of. Bigger koi can be fed onece or twice a day only, whereas smaller koi can be fed 5-6x a day.